Don’t you just love enjoying the first peaceful rays of morning sunshine as they gently stir you from your sleep? Or watching the colors around you come to life in the radiance of the midday sun? Isn’t it wonderful to watch the sun slowly disappearing, along with the cares of the day, into the endless blueish tones of twilight? To feel the evening slowly being transformed into the pulsating, exhilarating night? Each moment is unique, and each moment should be celebrated. The ‘Celebrate the Moment’ Spring Collection by ADO celebrates all of these colours and lighting moods and interprets them in a diverse, imaginative range of new designs. 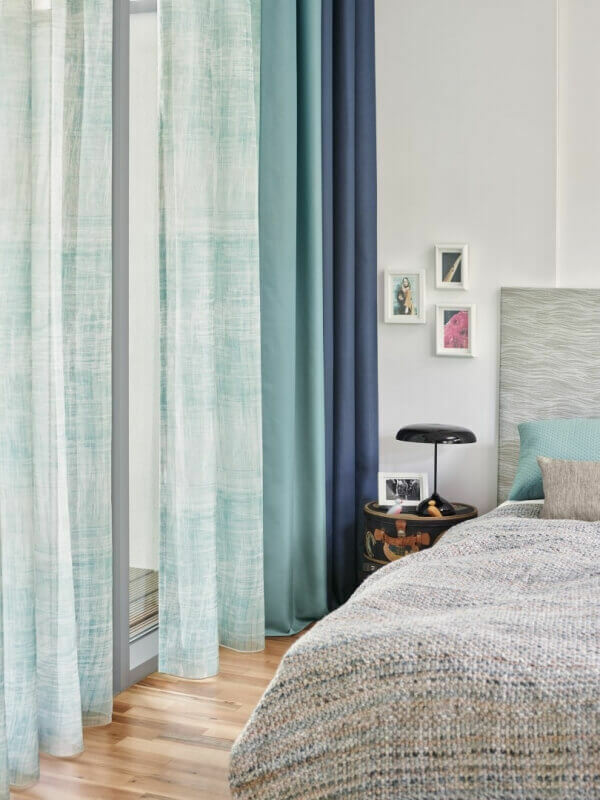 No matter whether you are an early bird, a late riser or a night owl, you can decorate your home with a fabric that recreates your favorite time of day. 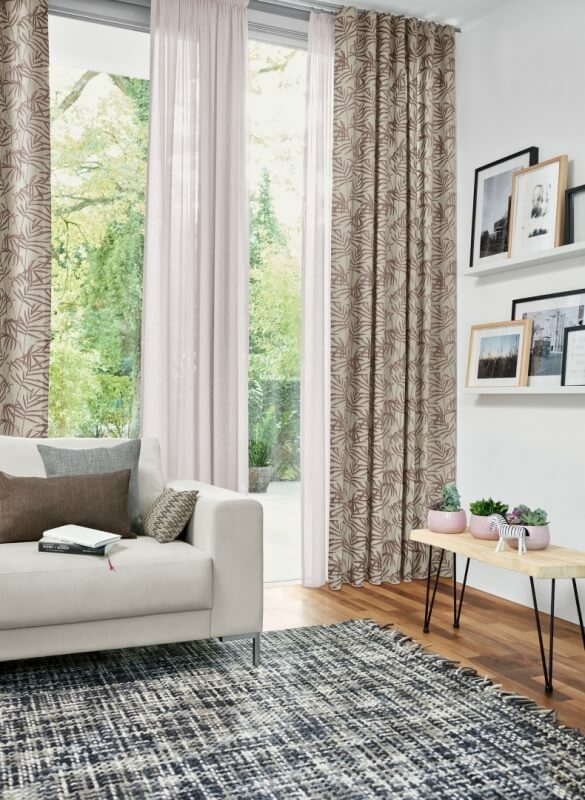 This range of modern ADO fabrics, which includes elegant colours, artisan interpretations and subdued natural designs, bring daydream-filled days and exhilarating nights to any home. Complete the form below to request a free swatch kit of this collection. This swatch kit includes a 6″x6″ cutting of each sheer and drapery weight design in this collection, a price sheet, and a 16-page booklet featuring inspirational room scenes. 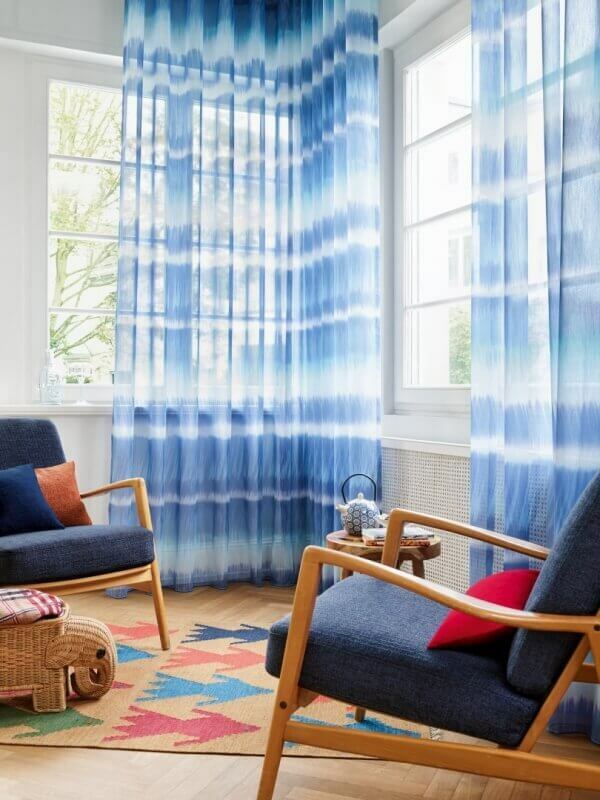 Say good morning to inbetween, transparent and decorative fabrics! These lively, soft-colored fabrics are a great way to start your morning – and to help get you through it. With gentle pastel tones, they have a feminine, playful and natural appearance. COSMA’s minimalistic design maximizes its beauty. A sensuous patterned fabric has been created by adding a delicate burn out leaf tendril design to the base fabric (NADIA). For this fabric to look its best, less is more. It also works well with the negative design, CARLA, and with the two single-colored fabrics NADIA and NEDA. Modern chic with a vintage twist – CARLA stylishly combines these apparently contradictory elements. Its delicate, decorative leaf tendrils will look fantastic with any style of decor or interior. CARLA also coordinates well with the positive design, COSMA, and the two single-colored fabrics NADIA and NEDA. NADIA is as soft and subtle as a morning whisper. This beautiful single-colored inbetween fabric, which is the base of the two burn out fabrics COSMA and CARLA, has a natural appearance. NADIA feels fantastic and has an attractive drape. Its viscose content gives it a wonderful sheen, which is both young and elegant. This sleek fabric is absolutely captivating! NEDA is perfect for those of us who ease into the morning gently. This transparent single-colored fabric is the base for the burn-out fabrics COSMA and CARLA and it has captivating delicate yarn effects in the warp and the weft. 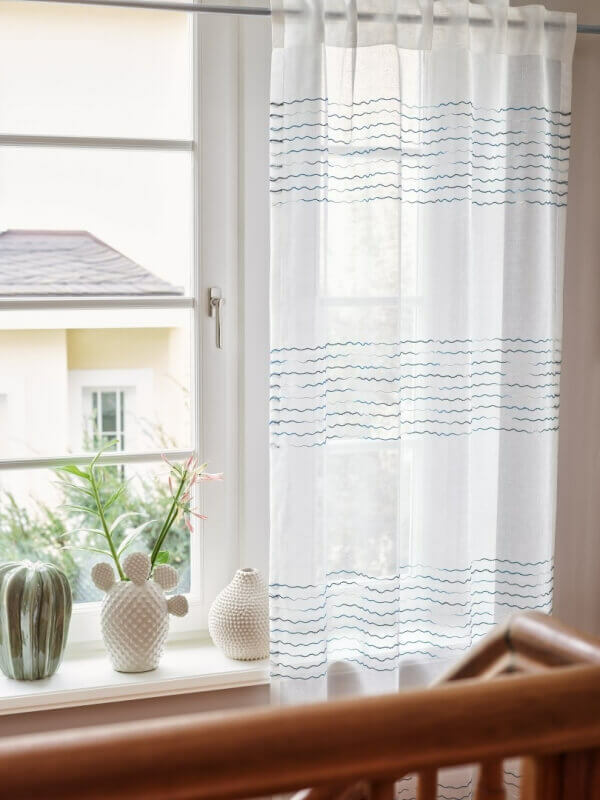 NEDA also has a very special cheesecloth look, which, instead of creating a rustic feel, gives it a fresh, contemporary and elegant appearance. TONIA ushers in the dawn. The atmospheric color gradient provided by the multi-colored yarn is a playful and decorative addition to the well-loved base fabric, PRIMO. 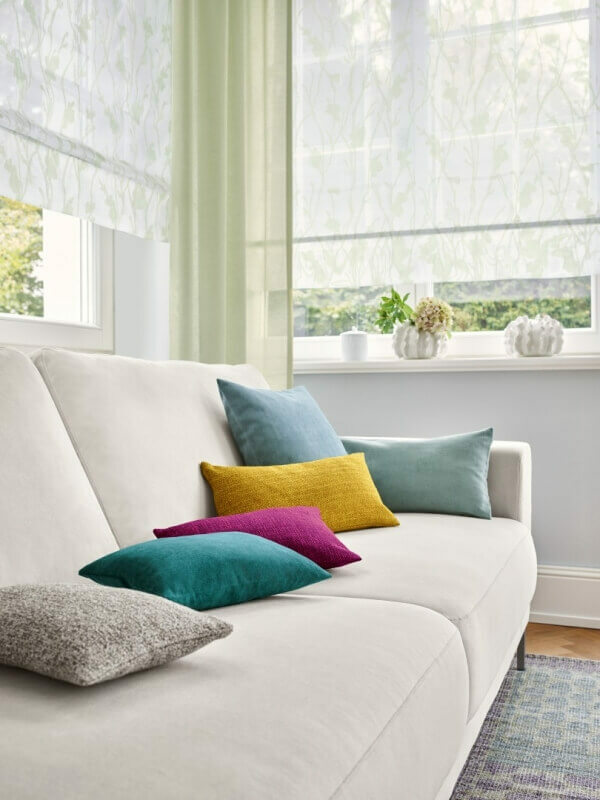 Inspired by the sunrise, this decorative fabric starts with white and progresses either to soft beige tones, discreet shades of sand and grey, or to the fresh colors of daybreak – to yellow, orange, and red. ORIANA awakens both you and your senses. The modern cottage look is now available in five feel-good colors: glacial white, sand, silky grey, aquamarine and pistachio green. The different yarn thicknesses and fringes provide a very effective showcase for the abstract flowers and leaves of the allover tendril pattern. It’s beautiful all over! PIPPA makes the day blossom and flourish. What’s more, this fabric is available in three different colors, each of which have four embroidery yarns in well-matched colors. The first color combination features white and ecru nuances. 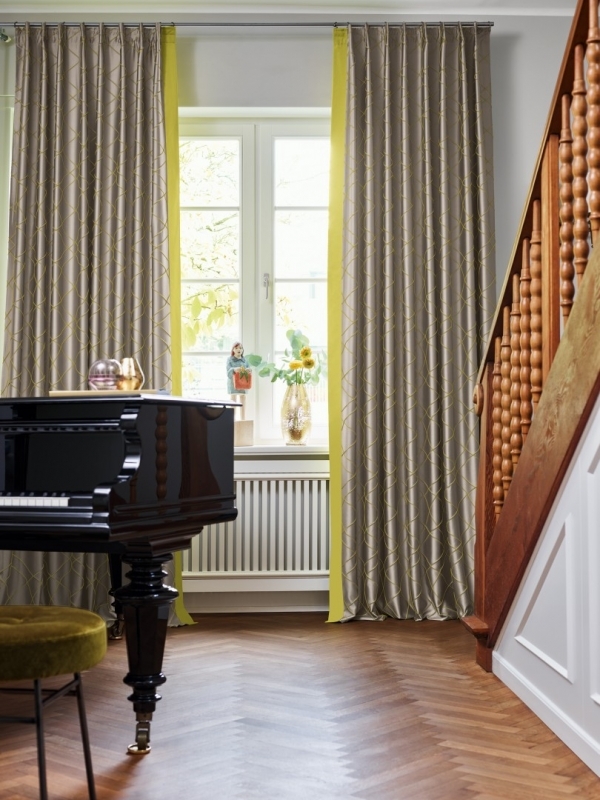 The second creates harmonies using ivory and beige tones, while the third uses a captivating combination of delicate ecru and shades of green. The embroidery design consists of three beautiful floral compositions. Light and joyful – day after day. The delicately feminine VIOLA is available in four colors: nougat, birch green, glacial blue, and lavender. Its floral elements, which look as though they have been painted on with watercolors, are liberally distributed over the extremely fine transparent fabric. One of VIOLA’s most attractive and effective features is the artistic layering of colour. There’s no lighter way to start the day! Up to the minute fabrics for midday moments. With colors that are reminiscent of when the sun is at its zenith, these fabrics radiate so much joy, energy, and vivacity. Some are three dimensional, some are geometric, some have a retro feel. Some of the fabrics have aspects of all three – and all of them have style. Lively, linear elegance! ARY features a graphical, linear design on shimmering satin, which conveys both orderly elegance and effortless vibrancy. 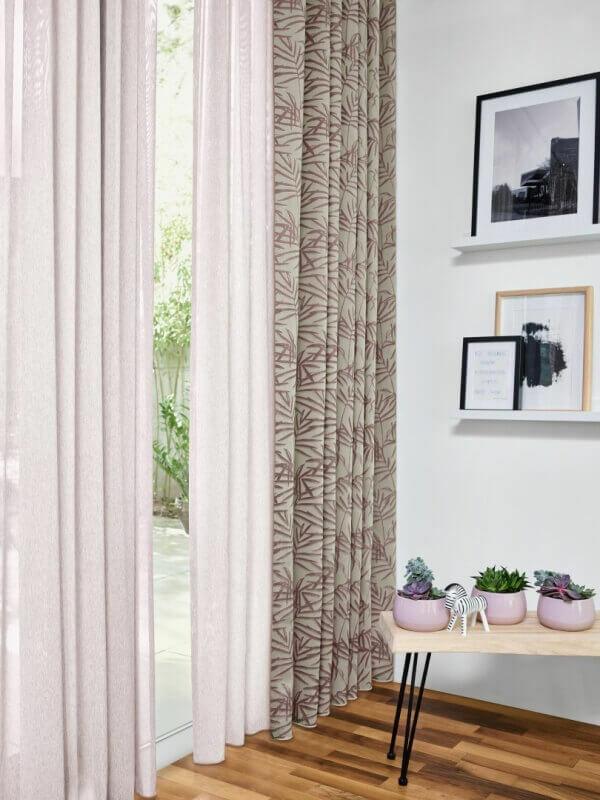 The colorful, matte raised lines create a fantastic 3D effect on the satin base fabric, which is available in three attractive colors: aluminum, taupe and white. SASSO is a truly adorable fabric. The vibrant color, structure, and texture of its weave are reminiscent of fleecy clouds in a midday sky. With matte and shiny yarns, it has an abstract look. Despite its sophisticated texture, SASSO’s highlighted features are unobtrusive. This appealing fabric is available in a range of natural colors, a fresh glacial blue, and a vibrant magenta. Get caught up in TULLIO’s elegant net. This highly transparent mesh fabric, which is available in 8 homely colors, adds a playful yet refined touch to any interior style. It adds a sense of lightness and does not require weight tape. We recommend finishing it with a neatly sewn hem. If you like, you can also add decoration. Somewhere over the rainbow with SKADI! This leno weave features bold, cheerful color gradients, which resonate with its modern elegance. 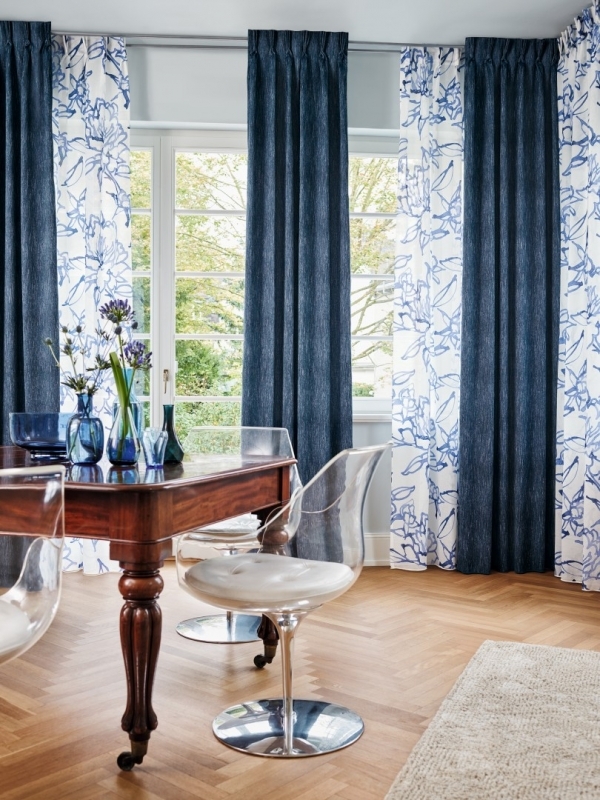 This highly transparent base fabric, which has dense, balanced stripe detailing, reflects aspects of the natural world. Delicately harmonious color combinations on a white background are juxtaposed with vibrant colors on a dark background. KENO shows both of its best sides. 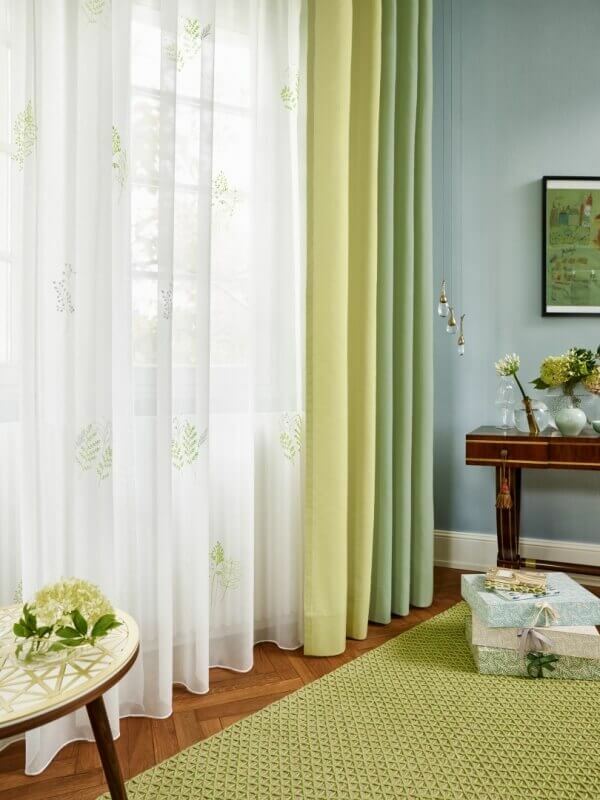 This light, flowing decorative fabric with a semi-matte cotton look also has an elegant, glossy reverse side. It is also available in 30 diffecolor colour combinations – what more could be asked for? KENO also makes a great lining material that offers excellent value for money. The angular FARO features a well-rounded design! The graphical elements of this burn out fabric showcase a lively interplay of rectangles and lines. They touch one another, overlap one another and create harmonious compositions. The five-color graphical detailing also harmonizes tastefully with each of the base fabric colors, which range from watery colors and greens through to coral and lemony hues. ORELL will take you to cloud nine! It features an unusual band of Scherli, which is 30 inches wide and spreads across the Jacquard fabric, slightly above the middle. The Scherli design features light, serene midday clouds floating peacefully alongside one another. Of course, you can rail roll the fabric if you like – there are no limits to your creativity! Available in heavenly white and ecru. Decorative and Jacquard fabrics for afternoons that are filled with anticipation. Immersed in sensuous colors and lighting moods, characterized by unique patterns, shaped by nature and traditional designs from all over the world. From urban to vintage. From batik to indigo. We introduce the COLORS OF NOON. On one side, it is young and loud. On the other side, it is quiet and wise. This effect is due to the fascinating shibori design. As they merge into one another, the colors form horizontal stripes and the yarn effects on the front side of the fabric emphasize its natural, traditional feel. The impressive colors on the reverse side are more vibrant. With a quick change of perspective, INK is lovely twice over! Rustic, natural and handCRAFTed. The fabric is liberally filled with narrow and wide stripes, harmonizing perfectly with the transparent, linen-like base fabric. Available in neutral and balacolorolour combinations. Floated threads enhance the fabric’s handmade characteristics and its appeal. This fabric makes a big impression. The lovely single-coloured NILA is the perfect companion to pre-party preparations. In 15 powdery pastel shades, it adds a special touch to any room without being intrusive. 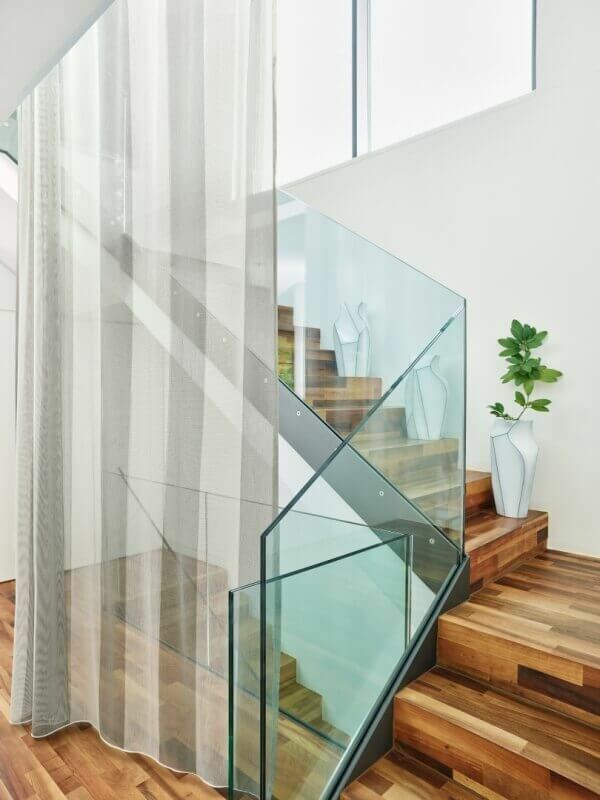 Its mesh structure means that it is very transparent. 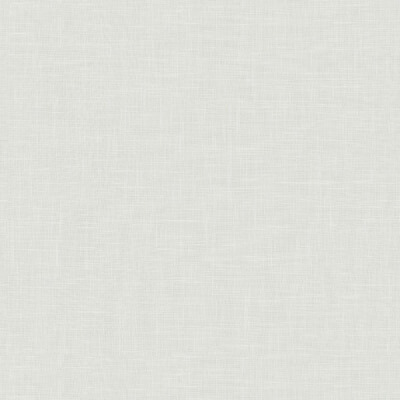 NILA has a relaxed appearance and it looks and feels like linen. It makes you want to change your plans and have a night in after all! Look: INDIGO. Effect: Stunning. Choose from 16 colours, with a great texture, fantastic yarn effects and a lovely drape. Pleasant to the touch. Available in green and blue colour variations, cool and warm neutral tones and rosewood hues. Across the surface of the Jacquard fabric, there are subtle horizontal stripes, which add even more excitement – and desirability! A batik flower that has its finger on the pulse of fashion. The fine, handcrafted structure of TINT’s transparent base fabric provides an excellent backdrop for the artistic batik print. The watercolour design on the calm background brings out the best in the batik colours – blue, green, grey and beige – and puts a smile on the face of anyone who sees it. A beautiful pattern. GRATE, which could almost be mistaken for linen, features wavy lines in a variety of different coloured yarns. These lines subtly combine to form horizontal block stripes. A decorative must-have that feels fantastic and has an attractive drape. Straight ahead? Not with BALE. 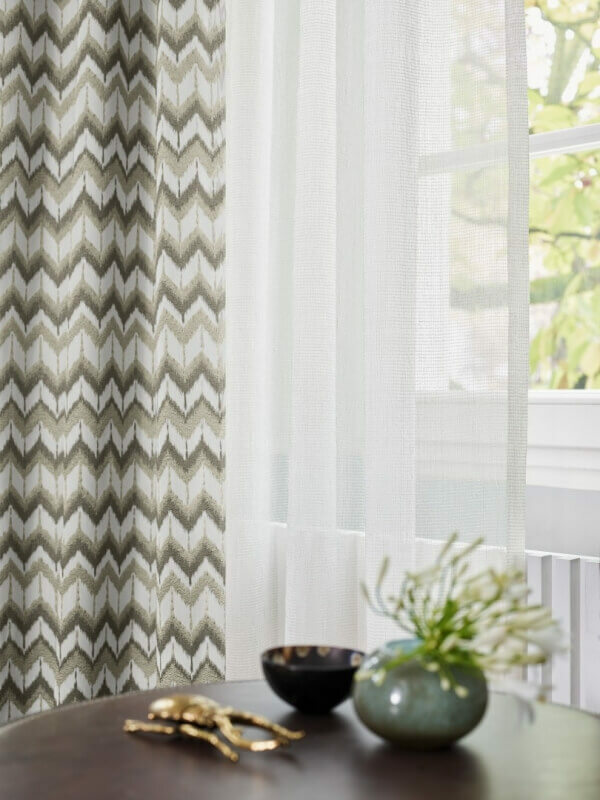 This zigzag fabric has a handcrafted look and makes a vivid impression. The external lines, which are inspired by the ikat and shibori techniques, highlight the traditional handcrafted touch. 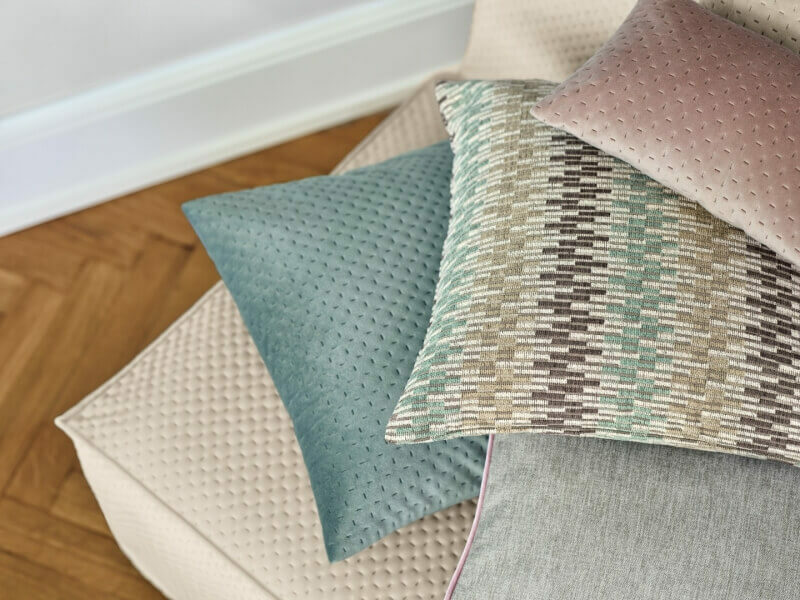 BALE is available in late afternoon colour palettes: nougat, gold, green, aqua and blue. The night has lots of glimmering treats in store. All of which are elegant, stylish and timeless. In a way, these nine items are the ‘eveningwear wardrobe’ of decorative textiles. The wardrobe contains transparent, semi-transparent and decorative fabrics, which reveal their qualities, charms and secrets. They are so lovely to look at that burning the midnight oil is an absolute pleasure. RAFFIA brings the night to life! As the day draws to a close, this spirited decorative fabric comes into its own. With a combination of a matte background and a glossy pattern, it is reminiscent of an urban jungle. Shadows are added in coordinating colours, which makes the design look even more three-dimensional. 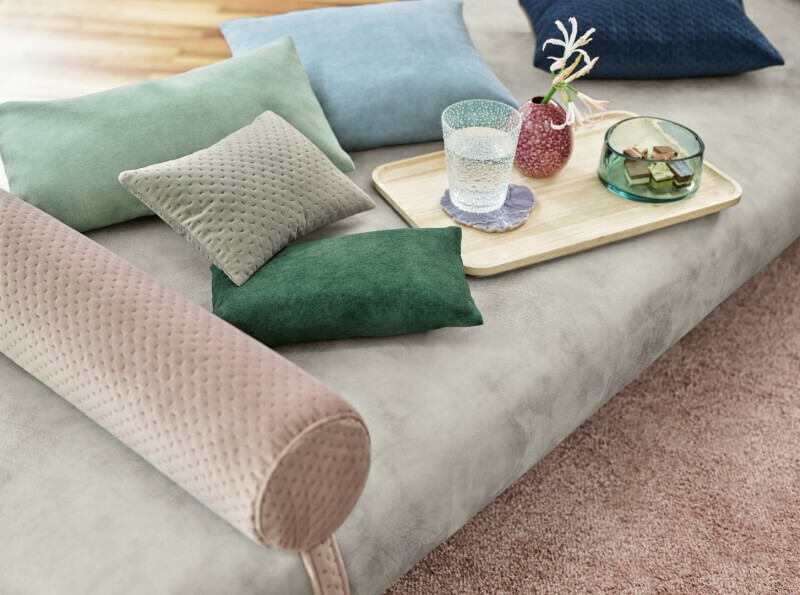 Available in six atmospheric colours: ecru, beige, nougat, mallow pink, aquamarine and lemon yellow. A rendezvous with CANNY – a special, elegant and sensational night-time encounter that never loses its thrill. A lively tumbled look prevents the single-colour imitation velour from being monotonous. The shifts in pile bring it to life, creating a marble-like effect. It is available in a particularly wide range of colours. Another notable feature is that, in contrast to real velour fabrics, CANNY does not need to be lined. A blackout that everyone remembers. RELAX BLACKOUT is a tasteful decorative fabric that blocks out 100% of light, thanks to the superb coating on the reverse of the fabric. The surface has a lively textured effect and an appealing weave structure.  For a blackout fabric, RELAX BLACKOUT has an exceptionally pleasant feel and an unusually soft drape. Hemmed in by timeless beauty. ZOOM is a transparent wool-look leno weave that has a very natural feel to it. The fabric is based on the existing high-quality single-colour fabric, LOOM, and it features extravagant block stripes. Each of the natural tones interact with white, which accentuates the fresh, neutral look of the fabric. A one-of-a-kind two-tone fabric! 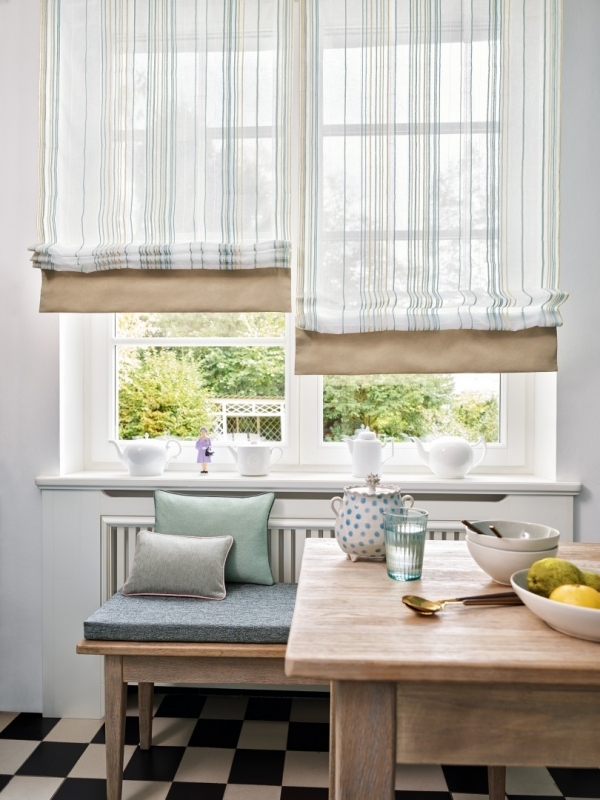 This light, transparent fabric with a harmonious two-tone effect is timeless and cosy. TWICE’s special feature is its elegant melange effect. The white and ecru colour combinations are also available in a second room height. This fabric will make any night owl’s eyes light up. NIPA is a stylish allover fabric with a leaf pattern, giving it a botanical look and captivating anyone who sees it. The natural-looking base fabric chimes in with the palm leaf design and makes NIPA look and feel breathtaking. The ATACAMA upholstery fabric collection is all about mixing and matching colors, designs and interior styles. From leather-look fabrics with a modern twist to woven textiles combined with graphical elements. Visual thrills combined with grounded fabrics. Playful interactions between design and nature. 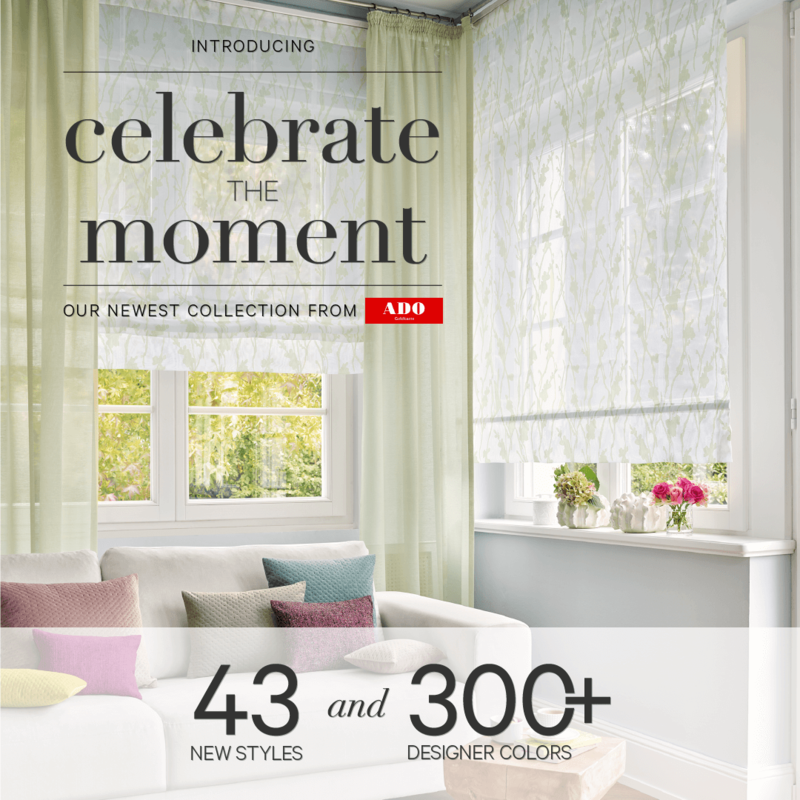 These upholstery fabrics represent emotion, trends, and fashion. With their fantastic surface effects and textures, they stimulate all of the senses. They also generate excitement for enjoying interior design and stylish living. Let’s get started! ATACAMA is a super-soft, fine micro velour with wadding. Its minimalistic embossed pattern creates a stunning three-dimensional effect. As well as being snuggly and durable, this is an extremely low-maintenance, washable upholstery fabric. It is available in 11 colors, ranging from pastel shades to vivid tones. They can be mixed and matched for a cosy evening at home with (and on) the sofa! OASIS zigzags in every way possible, making use of the interplay between matte and sheer, raised and recessed sections and fine and coarse structures. The graphical interpretation of the stripes also creates a vibrant back and forth, emulating the fashionable Missoni look. Chenille gives the fabric its three-dimensional texture and makes it feel fantastic. Furthermore, the three colors, which are all neutral, harmonize well together and balance out the visual stimulation. So many aspects of SONORA are exciting – its graphical craquelure structure, its urban vintage look, the playful use of matching color tones, the cosy feel of the material, the subtle shine, the six colour schemes. The only other thing you might want is to take a seat! DESERT – sit in it, fall for it! 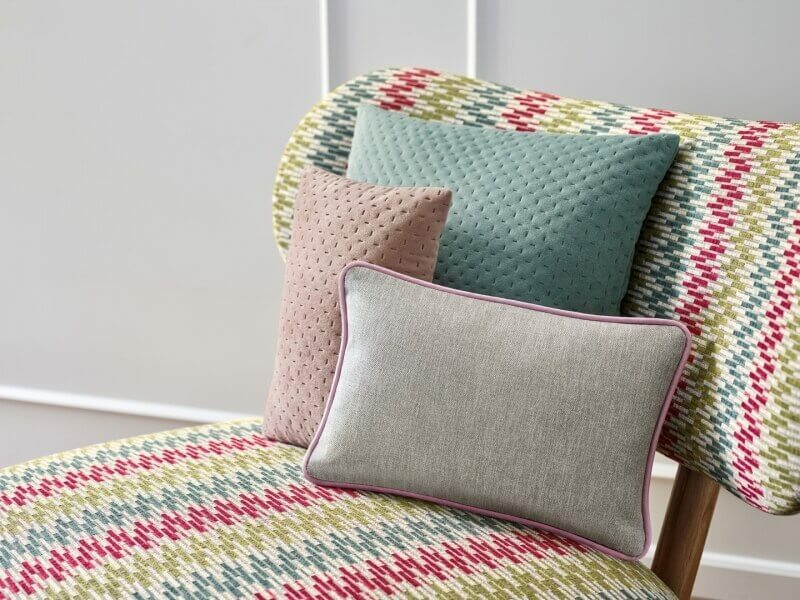 With its subtle criss-cross pattern, this lovely single-coloured melange fabric looks like a woven textile. Its melange yarn gives the inviting wool-look material a natural appearance. This fantastic material looks great on its own or in combination with other materials in the collection. And made to be eye-catching! These textiles are ready for anything, while also looking drop dead gorgeous. ADO Smart Clean technology also guarantees that they will be easy to wash and look after – in addition to the reliable five-year warranty. And any mishap is dealt with in a matter of moments – with a little water and nothing else. 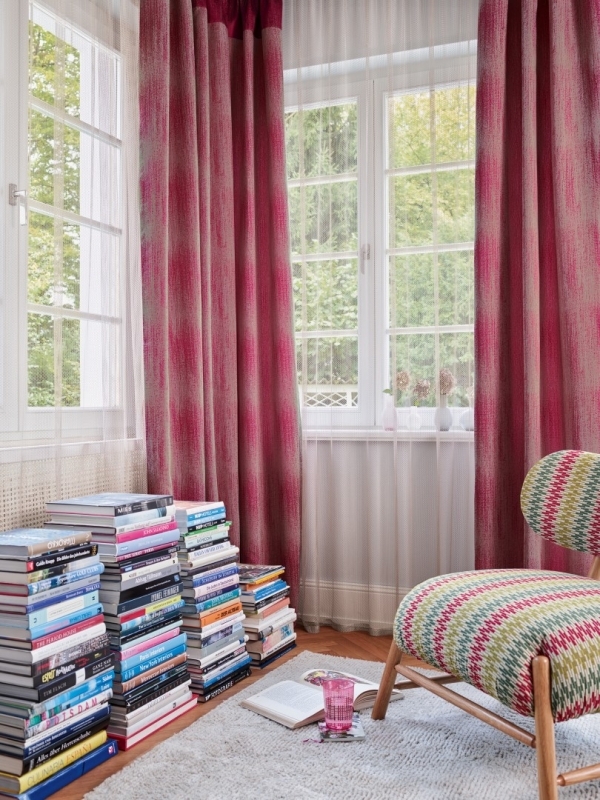 These fabrics offer a range of different textures and they span eight color palettes. From sand/green to putty/greige, from imitation velour to a Chanel look. They work with all kinds of furniture and any interior style. ARUBA solves problems and sparks excitement! FOGO is full of passion and has some great characteristics. With a natural-looking linen structure, it is available in 14 colors, which are all taken from nature’s palette. What makes it particularly popular, however, is its soft feel and drape – not to mention its easy-care qualities! Exclusive: An evocative Chanel look, which is achieved with melange yarns, weave effects and yarn effects. Inclusive: The exceptional technical characteristics and the easy-care qualities of the high-performance yarns. SARK is the perfect textured fabric for fashion conscious customers. NAMIB – an absolutely beautiful fabric. With its lovely linen structure, this melange fabric invites you to relax and linger. 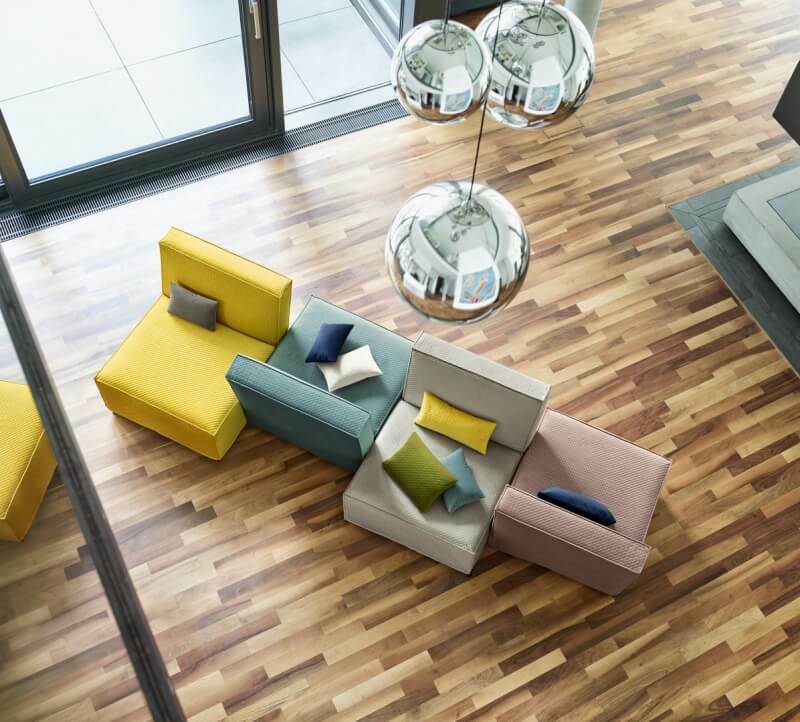 NAMIB is available in six fashionable natural tones and its innovative technical and low-maintenance qualities make it all the more appealing. Beautiful opportunities emERGe from this light melange fabric. ERG has a fascinatingly irregular course texture with a lovely drape. It also feels very pleasant to the touch. 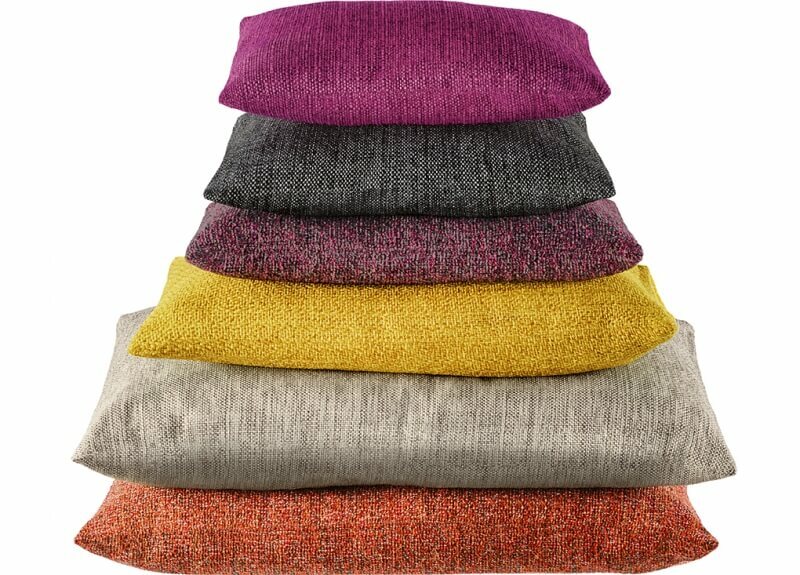 It is available in 12 natural colors and its high-performance yarns make it a very low-maintenance fabric. A tough look that’s soft to the touch. 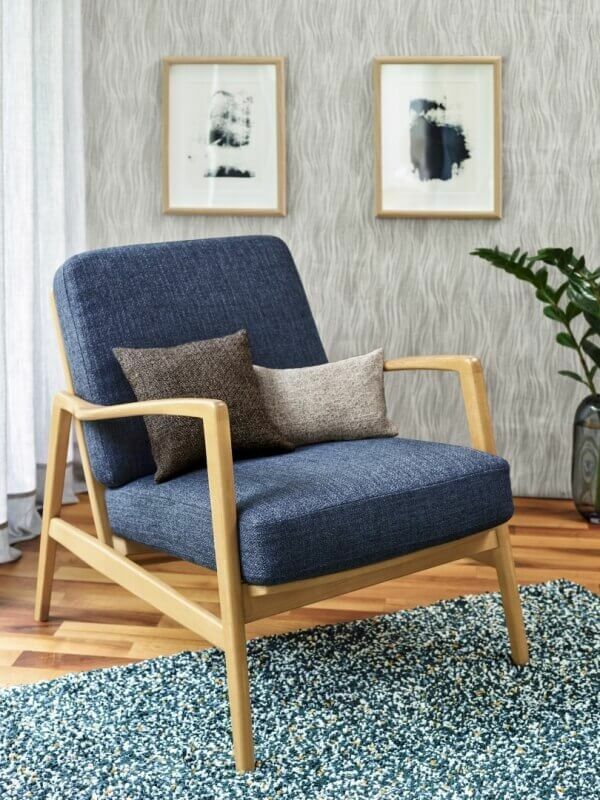 The low-maintenance material TIMOR offers all of the benefits of ADO Smart Clean technology, while also having an exquisite, soft-feel linen structure. Its reverse side is fleece, which means it remains soft to the touch even when used in upholstery. KALAHARI is a natural-looking fabric that is reminiscent of woven raffia. In addition to its melange yarns and its twill weave, what makes it so well-loved are its technical characteristics and its easy-care qualities, which are due to the material’s high polypropylene content.